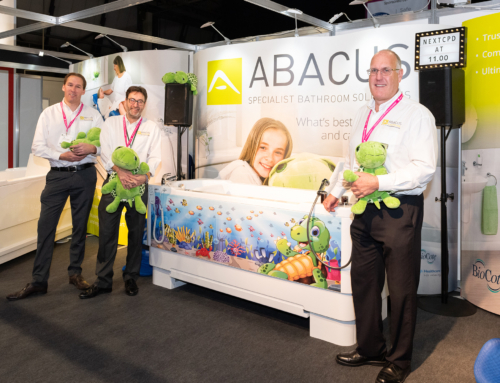 Abacus Healthcare, would like to invite all Occupational Therapists to see its educational programme regarding assisted bathing at the OT Show (Stand F42, NEC, 23-24 November). The Abacus range of accessible baths with powered features such as height adjustment, bather transfer seats and integrated changing platforms deliver utmost care, dignity, comfort and safety to semi-ambulant users. They also ensure carers can assist at safe working heights and avoid the potential for back and muscle injury from excessive lifting and stooping. Nevertheless, many families with disabled children and relatives are unable to choose an Abacus bath as funding is commonly not permitted through a Disabled Facilities Grant. This informative and interactive presentation will review and highlight the key elements of the DFG and question why bathing is often neglected as an option to meet a client’s personal hygiene and occupational needs. The ongoing #BathingIsBetter social media campaign by Abacus provides a diverse range of information for healthcare professionals that outlines the benefits of accessible bathing versus adapted showering. Free printed advice guides, end user case studies and links to downloadable documents, videos and social media streams will be available at the OT Show so applying for a grant funded bath is easier. 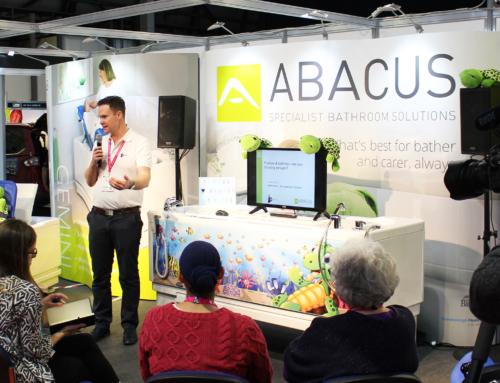 Abacus Product Specialists will be on hand throughout the show demonstrating the popular Gemini and Aries powered baths. The height adjustable Gemini is a leading paediatric choice for OTs with its integrated changing, drying and bathing platform. This in-built spacious surface reduces the number of transfers required when assisting a disabled bather, increases safety and ensures the bathing experience is more pleasant for both user and carer. The compact Aries is a hi-lo bath ideal for use with ceiling track or mobile hoists and is compatible with the proven range of Abacus postural supports.